With the Government preparing to control tenant’s deposits at five weeks rent, Darwen landlords will soon only be protected in the event of a single month of unpaid rental-arrears, at a time when Universal Credit has seen some rent arrears quadrupling and that’s before you consider damage to the property or solicitor costs. 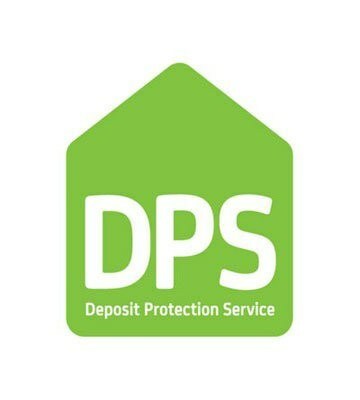 It can’t be disputed that the deposits Darwen tenants have to save for, certainly raises the cost of renting, putting another nail in the coffin of the dream of home ownership for many Darwen renters whilst at the same time, those same deposits being unable to provide Darwen landlords with a decent level of protection against unpaid rent or damage to the property. When you consider the value of all the privately rented properties in Darwen total £300,346,470, the need for decent landlord insurance to ensure you are adequately covered as a Darwen landlord is vital. However, I want to consider the point of view of the Darwen tenant. Several housing charities believe spending more than a third of someone’s salary on rent as exorbitant, yet for the tenants they find themselves in that very position. I feel especially sorry for the Darwen youngsters in their 20’s who want to rent a place for themselves, as they face having to pay out the rent and try and save for a deposit for a home. ….and 27% of their salary for a 2-bed home in Darwen. Yet landlords also face costs that need to be covered from rents including mortgages, landlord insurance (especially the need for the often-inadequate deposits to cover the loss of rent and damage), maintenance and licensing. In fact, rents in the last 10 years have failed to keep up with UK inflation, so in real terms, landlords are worse off when it comes to their rental returns (although they have gained on the increase in Darwen property values – but that is only realized when a property sells). There are a small handful of Darwen landlords selling some/or all of their rental portfolio as their portfolios become less economically viable with the recent tax changes for buy to let landlords, which will result in fewer properties available to rent. However, this will reduce the supply and availability of Darwen rental properties, meaning rents will rise (classic textbook supply and demand), thus landlords return and yields will rise. Yet, because tenants still can’t afford to save the deposit for a home (as we discussed above) and we are all living longer, the demand for rental properties across Darwen will continue to grow in the next twenty to thirty years as we turn to more European ways where the norm is to rent rather than buy in the 20’s and 30’s age range. This will mean new buy-to-let landlords will be attracted into the market, buy properties for the rental market in Darwen and enjoy those higher yields and returns … isn’t it interesting that things mostly always go full circle?